What is the difference between privacy and secrecy? When something is private, you don’t mind if others know it’s there, as long as they don’t have access to it. For example, other people know you have a credit card number, but as long as they don’t know what it is, they can’t use it. Ironclad secrecy is when, not only others cannot access it, they don’t even know it’s there. Secret messages have been used since the dawn of man to convey information without interception. Some of the ancient methods I’ve read about include tattooing a message on someone’s head and letting the hair grow back, and encasing messages in balls of wax, which the messenger had to swallow. Later on we had invisible inks, and if you were born anywhere between the 70s and 90s, I’m sure you had your fun with lemon juice, invisible markers, and so on. The science (or art) of hiding messages in pictures is called steganography, and in the digital age, can be used to hide secret messages in innocent-looking images. Looking at the picture, you have no idea there’s a secret message hiding inside, but with the correct tools or passwords, the secret message can be revealed. As with everything, the digital age made creating these secret messages easier than ever. Want to give it a go? Here are some tools for you to try. If you’ve been reading tech blogs in the last couple of weeks, you’ve probably encountered this ingenious ad by a Spanish organization called the Aid to Children and Adolescents at Risk Foundation (ANAR Foundation). The ad is aimed at both children and adults, but contains a different message for each. From adult height, only a warning is visible; from a child’s height, a phone number appears which the child can call in case of abuse. While this might not be steganography per se, it’s a great way to convey a secret message only to its target audience, and is a great example of the use of this technique in today’s world. If you’re the kind of person that likes to do things himself, this method is as DIY as it gets. You may have to try it several times to find the best picture to hide your message in, but keep in mind that a simple MS Paint (or equivalent) drawing would work best. I tried it with a real photo I took, and it did not work as well. This method is based on a process I found over on WikiHow, which basically combines two files — an image and a text message — so that on the outside the image looks like an ordinary one, but if you know where to look, you can find the hidden message. If you’re not a Windows user, I apologize in advance, but since I am one, I am only able to show this method on Windows. To start, find or create a BMP file in any way you wish. For me, the easiest way was to draw something simple and save it as BMP, but you can also try it with a real image. If you go for an image, try to find a relatively small one. copy “<image file path>” + “<text file path>” “<new image path>”. You can get a better idea of what this will look like in the screenshot below. Name your new image whatever you want, but remember that this is your actual secret message image, so don’t name it “secret message” if you really want it to be a secret. The new image will also be a BMP file, so anyone who sees it will double click it to open and see only the image. If, however, someone in the know opens it using Notepad, they’ll find the secret message hiding all the way at the bottom of the file. Yes, this might not be the most sophisticated way to do this, but it’s easy and it works. Mozaiq is a service aimed at creating those huge mosaics made out of tiny pictures. 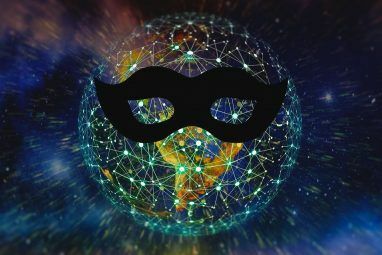 In addition to that, it also offers a simple and easy-to-use steganography service, which you can use to quickly encrypt any message into an innocent-looking image. The great thing about Mozaiq is that you don’t even have to spring for an image. If you’re too lazy, or have nothing suitable lying around, Mozaiq will provide a random image for you to hide your message in. All you have to do is input your message and an optional decryption password, and you’re all set. Save this image to your computer (don’t edit it! You can change the file name, though), and send it to whomever you wish. In order to decrypt the message, it’s necessary to use Mozaiq’s decryption page. Upload the image and input the password (if there is one), and voila! Here’s your secret message. Read a full review of Mozaiq The Easiest Way to Send Secret Messages Within Pictures The Easiest Way to Send Secret Messages Within Pictures Read More (but keep in mind the interface has changed a bit since this was written). MobileFish is an old-looking website dedicated to design, development, gaming, and stuff in general, but it also features a steganography service. The service is as old-looking as the rest of the site, so you may have to wrestle the interface just a bit, but it does let you hide secret messages in images, and even secret files within files. To create a secret message in an image, upload the image, and then choose whether your secret message will be presented as a secret file or just a message. After uploading the message file or inputting the message, choose a password, and scroll all the way to the bottom. Here you’ll have to enter an easy captcha, and then click on “Encrypt”. At this point it may look like nothing has happened, but if you scroll down further, you’ll find a download link with your new image. To decrypt a message, either upload it or enter a URL (which means you can share links to a secret message as well as send the actual file), enter the password, and click on “Decrypt”. Again, it may seem like nothing is happening, but scrolling down will reveal the message either in the Secret message box, or, if you chose to hide the message in a file, it will be available for download using the same Download file link seen above. MobileFish’s interface is its downfall, but if you and your recipient can put that aside, it’s a great way to create and decipher secret messages. Secretbook is a fairly new Chrome extension that lets you encode messages into Facebook photos, and then share them with friends as if they were regular photos. 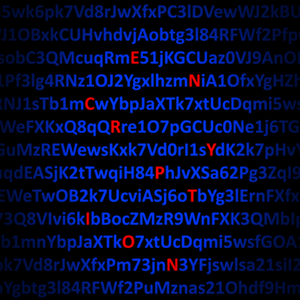 Friends in the know and who have the password will be able to decipher the secret message hidden inside the image. After installing the extension, you’re going to have to refresh Facebook, and press ctrl+alt+a to create a new encrypted message. If this shortcut is taken by something else, as it was for me, there’s not much you can do about it. I ended up shutting down the program that was stealing the shortcut, as there’s currently no way to change it. Upon hitting the shortcut, the window above will open, where you’ll have to choose an image, and enter the message and a password. Each image can contain a different number of characters, and Secretbook will let you know how long your message can be. You can then download the file and upload it to Facebook. To decipher the message, press ctrl+alt+a while looking at the picture, and input the password. If the password is correct, the message will be displayed! There are other tools you can use to create hidden messages in images. S-Tools for Windows Become a Secret Steganographer: Hide and Encrypt your Files Become a Secret Steganographer: Hide and Encrypt your Files Read More and iSteg for Mac Hide Text in Photos and Send Secret Messages [Mac only] Hide Text in Photos and Send Secret Messages [Mac only] Read More are two such examples we’ve covered in the past, and if you’re looking for desktop apps to create your secret messages, these are great ones to try. Did you manage to create some hidden messages? Which is your favorite method? Do you know of an excellent way I didn’t mention? Tell us everything in the comments. Explore more about: Encryption, Online Privacy, Steganography. Oh ho ho I have a way, there's an art program called fire alpaca if you cover an entire image using the firealpaca 2 brush then write a message on the layer above it with the brush (The size CANT change) you wont be able to see the message unless you zoom out. This is because the text on the second layer makes the text below slightly darker. A W E S O M E. I've been working on a project to encrypt and save all my Internet passwords. This is an idea from the past that you've revitalized. Thanks for sharing! Great article :) Gonna try those, looks fun and interesting. I like secretbook but ctrl+alt+a doesn't work.pls someone help. The shortcut might be taken by another program. Does something else happen when you press it? Another thing you can try is restarting your browser. The shortcut is taken by AllMyApps.I can't find a way to change AllMyApps shortcut key.Please help. You could try asking on MakeUseOf Answers, someone might have a brilliant idea. tried the "DIY method" and the resulting image was simply unreadable by Windows 7 photo viewer (my work computer though, mine is Windows 8) and opening it through notepad gives only one line of text. Hmm, that's weird. Sorry it didn't work out for you. It's hard for me to troubleshoot because I don't know what you did, exactly. Did you use a BMP? If you tried an actual image and it didn't work, try something simple like in the example above. I simply convert it to BMP with mspaint, and the result can't be read by Windows 8 photo viewer, Photos app and GIMP. My only advice is to try a simpler image. It happened to me too with some photos. It work now though. I paint this with GIMP and not mspaint. Seems like there is a size limit here. I love these kinds of things. Awesome, MUO! I used to do this with images on websites that I designed or worked on. Since there wasn't anywhere to plainly show I worked on the site, I would use steganography to insert my information into an image. For example, I worked on a famous motorcycle website once. I put my info into an image. I told some people I worked on that site, and they didn't believe me. "Oh yeah? Watch this!" OpenPuff is good for steganography too.